Under the direction of Professor Louise Wilson, Central Saint Martin’s Masters in Fashion course has become renowned for nurturing some of the world’s finest design talent. At the recent annual graduate show, AnOther’s fashion director Cathy Edwards selected six standout collections by Jenny Postle, Jamie Cockerill, Myrza de Muynck, Phoebe English, Rejina Pyo and Viktor Smedinge. In this exclusive for AnOther, the work of these designers were styled by Edwards and photographed by Ben Toms. Each of the chosen collections were unique in their references, aesthetic and execution. 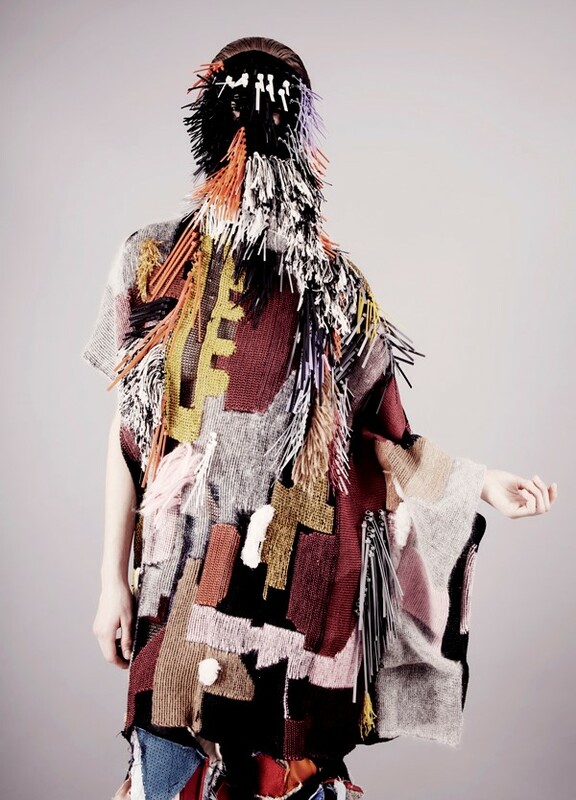 Jenny Postle’s patchwork, face-concealing garments were initially inspired by monster masks, Diaghilev’s stage make-up and photographer Phyllis Galembo’s Maske works. Myrza de Muynck presented printed sportswear influenced by the elaborate dresses of the 20s and Jamie Cockerill explored “contrast and texture” when designing his monochrome collection. Rejina Pyo’s striking colour-blocked designs referenced the abstract paintings of 50s painter Ellswoth Kelly and sculptor Isamu Noguchi. The coveted L'Oréal Professionnel Creative award was given to Viktor Smedinge for his graphic designs, and Phoebe English, whose collection was created almost entirely from hair. Click on the designers' names to read our exclusive interviews.